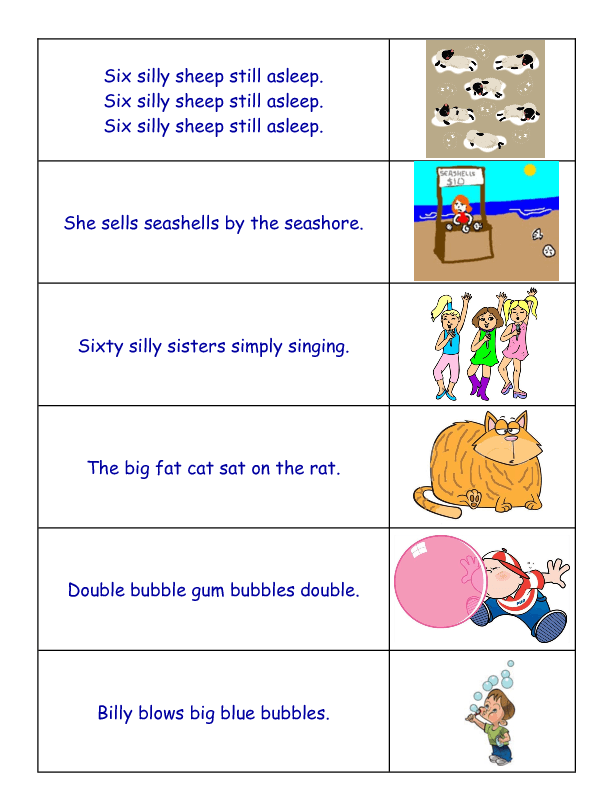 Tongue twisters easy enough for second grade ESL students to read, with pictorial support! 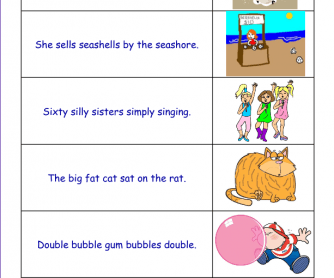 I read Fox in Socks to my class, then we practiced these tongue twisters. They worked with a partner, and their partner checked off how many of these each student could say three times fast, correctly. Common Core standard: I can stop when I am reading and fix words that I mess up or don't sound right. Language Learning Target: I can learn what a tongue twister is, then see how many tongue twisters my partner can correctly read 3 times fast.